Transforming furniture has come a long way over the years, expanding our options for comfort, convenience and function more than ever before. 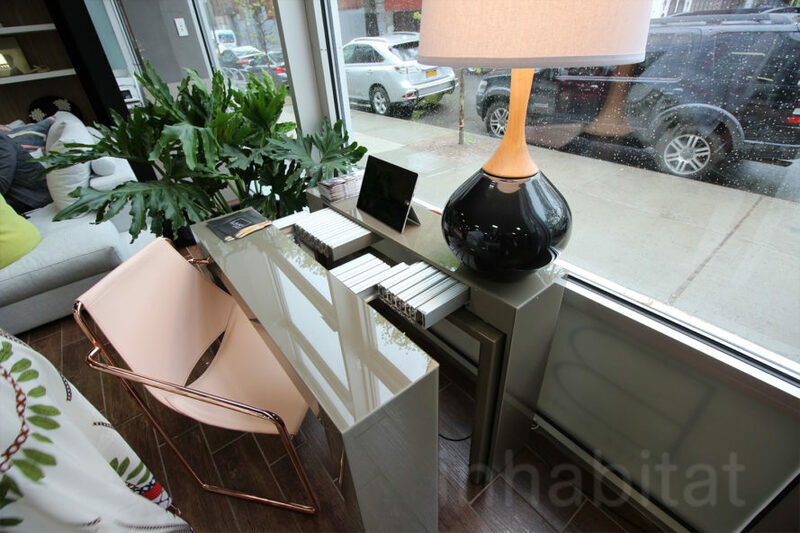 And as our living spaces get smaller, furniture is becoming even smarter. 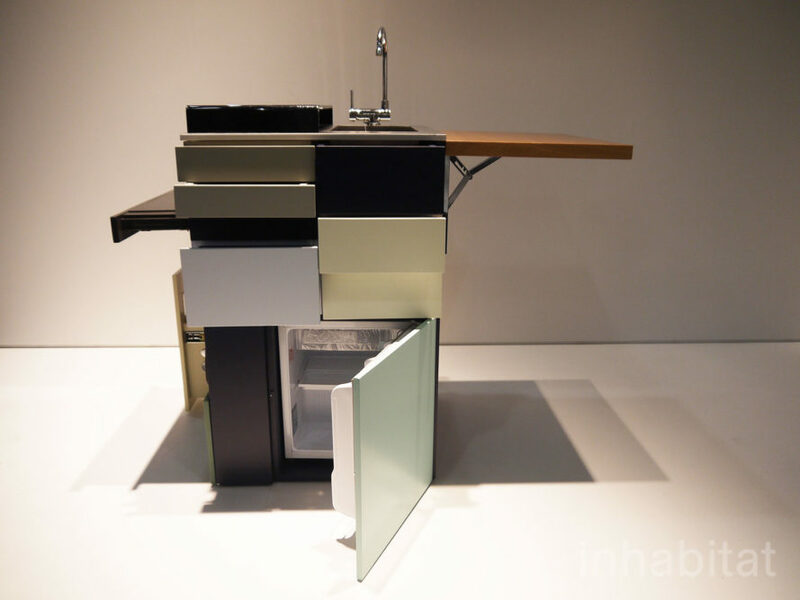 From modular shelving to shape-shifting chairs and a pocket kitchenette, check out 11 new items we'd love to have in a small space. Exocet is “a new kind of chair for all kinds of moments” — built for the natural curvatures of the human body, this ergonomically designed lounge chair can be transformed into a multitude of positions depending on your mood or activity. The patent pending design is available in several wood stains. This luxurious modular shelving system is ideal for the smallest of spaces. The series of customizable shelves can be configured in a myriad of ways in a variety of wood stains or glass. Anchored by a solid brass machined hardware, the mechanical connections can be simply adjusted for any desired shelf spacing. 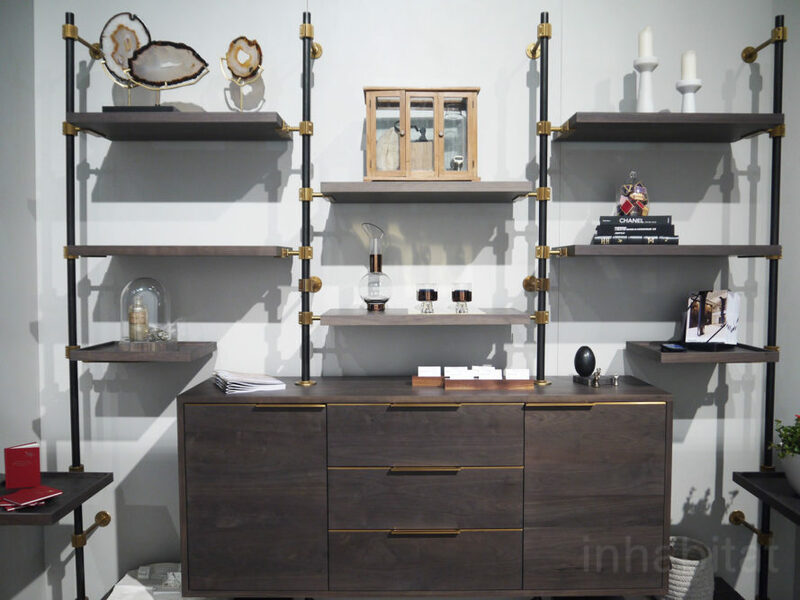 We caught this chic display at International Contemporary Furniture Fair (ICFF). Ana Arana’s Gali kitchenette is like the Swiss Army Knife of culinary pursuits. Perfect for a kitchen-less studio apartment or tiny home, this all-in-one design is armed with everything you need to store, prep and cook food in a super-compact form. Roberto Gil’s new Casa Collection includes this instant bedroom and storage system. The 6-in-1 Urbano Loft Bed is a customizable system that includes closets, dressers, a desk, a fold-out guest bed, and storage stairs, all topped off with a king sized bed and nightstand. Made with an eco-conscious birch plywood, this ultra-efficient, space saving design is handcrafted in Brooklyn. This expanding outdoor glass dining table from Sifas seamlessly transforms to provide more seating in a snap. Its weather-proof swiveling center instantly creates more seating only when you need it. The elegant design is suitable for either indoor or outdoor use, and is a definite improvement from the antiquated design of traditional expanding dining tables. 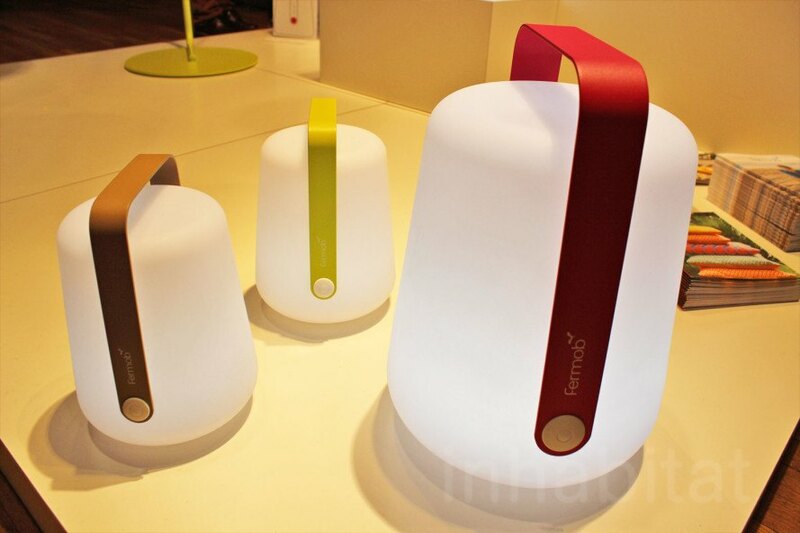 French company Fermob recently released these handy wireless LED lanterns that travel with you as you need them. The clever light can be hung from a lamp stand or detached and placed wherever you need extra lighting, whether it be indoor or outdoor. The best part is that they are completely wireless — after being charged on a USB cable, each light stays illuminated for 7-12 hours. 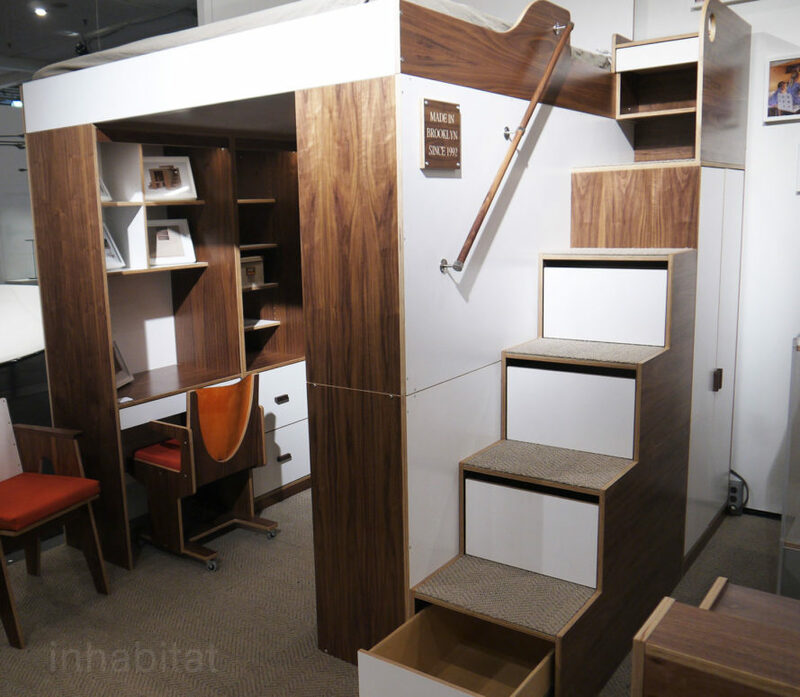 Michelangelo Designs demonstrated the hidden design of this Murphy bed at New York’s International Contemporary Furniture Fair (ICFF). 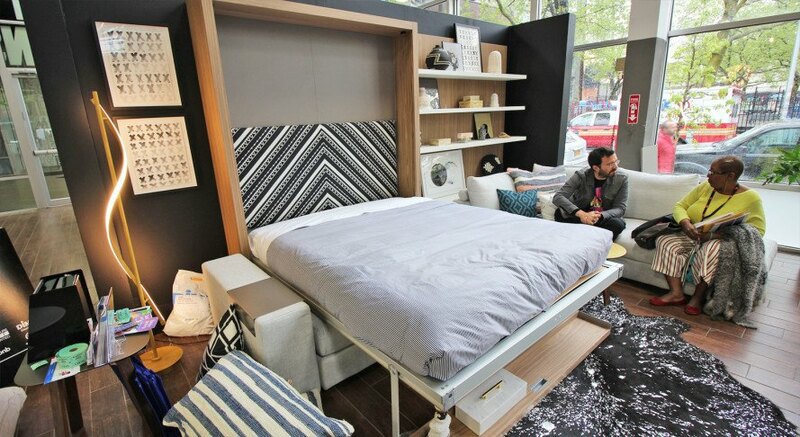 The graphic backdrop completely masks the fact that this couch and shelving unit hides a bed. Here’s another fold out bed that instantly creates a comfortable night’s rest for guests. The 12-foot Tango sectional sofa by Resource Furniture easily unfolds into a spacious bed. It even includes a stylish headboard and the sofa’s arms double as nightstands. Another micro-loft product by Resource Furniture is this expandable metal Goliath table, which hides neatly away as a compact desk and seats up to 10 when expanded to full length. Mio’s spunky Flip Tables can be configured in a myriad of ways. Comprised of four smart components, each layered side table can be flipped and combined in different heights, forms and colors, allowing the user to change up their environment depending on the situation. And you can rest easy knowing that all of the finishes are low-VOC, the wood is FSC-certified (Forest Stewardship Council), and the rest of the materials (including the steel bases) are both recycled and recyclable. 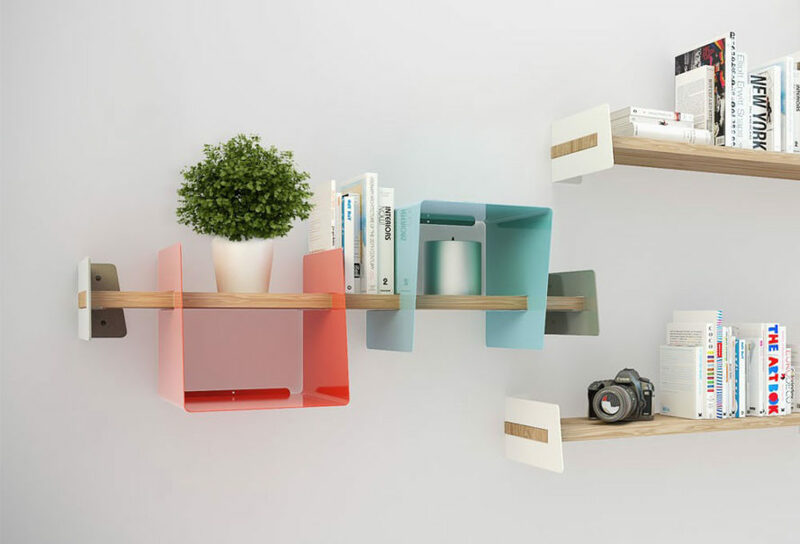 The makers from Mio also designed this eco-modular shelving system that shape-shifts depending on your needs. The collection of sturdy brackets, shelves and bins allows you to add extra storage at a moments notice. 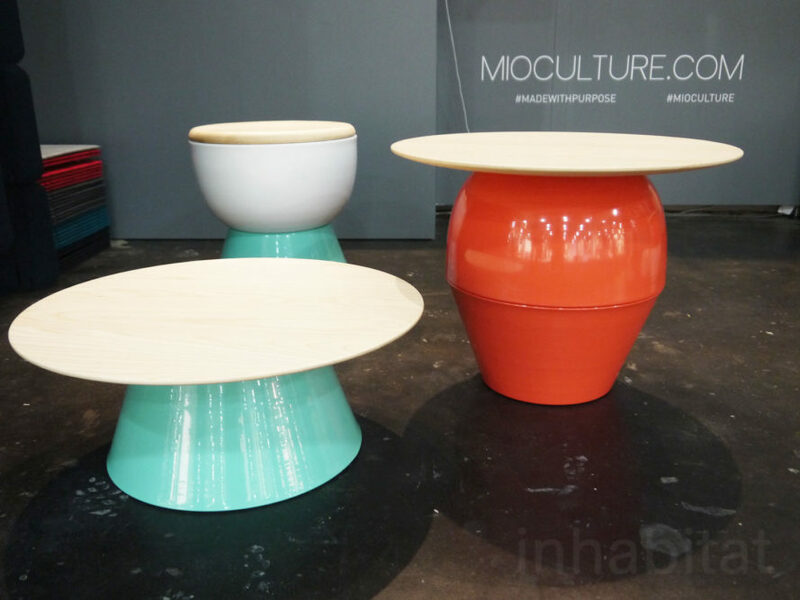 Want to see more trending designs from New York Design Week? Check out our full coverage right here. 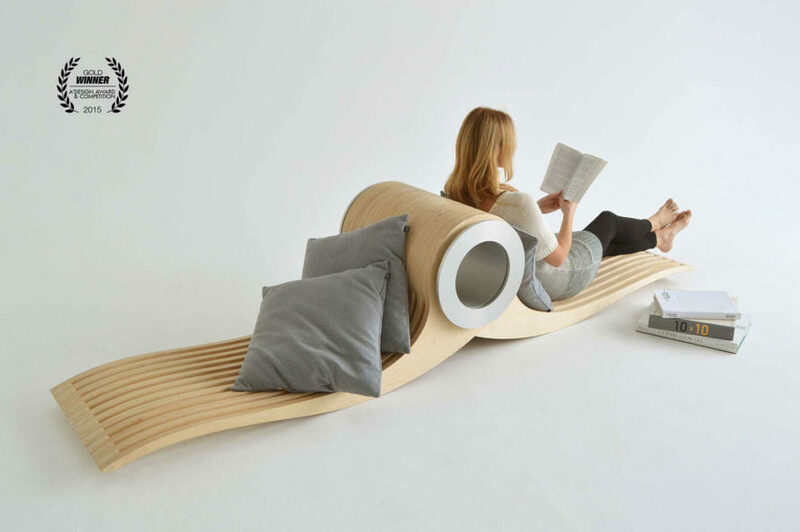 Exocet is "a new kind of chair for all kinds of moments" -- built for the natural curvatures of the human body, this ergonomically designed lounge chair can be transformed into a multitude of positions depending on your mood or activity. The patent pending design is available in several wood stains. Ana Arana's Gali kitchenette is like the swiss army knife of culinary pursuits. Perfect for a kitchen-less studio apartment or tiny home, this all-in-one design is armed with everything you need to store, prep and cook food in a super-compact form. Roberto Gil's new Casa Collection includes this instant bedroom and storage system. The 6-in-1 Urbano Loft Bed is a customizable system that includes closets, dressers, a desk, a fold-out guest bed, and storage stairs, all topped off with a king sized bed and nightstand. Made with an eco-conscious birch plywood, this ultra-efficient, space saving design is handcrafted in Brooklyn. French product line Fermob released these handy wireless LED lanterns travel with you as you need them. The brilliant white light can be hung from a lamp stand or detached and placed wherever you need extra lighting, whether it be indoor or outdoor. The best part is that they are completely wireless -- after being charged on a USB cable, each light stays illuminated for 7-12 hours. Here's another fold out bed that instantly creates a comfortable nights rest for guests. 12-foot Tango sectional sofa by Resource Furniture easily unfolds into a spacious bed. It even includes a stylish headboard and the sofa's arms double as nightstands. Mio's spunky Flip Tables can be configured in a myriad of ways. Comprised of four smart components, each layered side table can be flipped and combined in different heights, forms and colors, allowing the user to change up their environment depending on the situation. And you can rest easy knowing that all of the finishes are low-VOC, the wood is FSC-certified (Forest Stewardship Council), and the rest of the materials (including the steel bases) are both recycled and recyclable.